← SMH Article :: Do you rip movies to avoid the scratched disc tax? Chrome this year toppled Internet Explorer as the world’s most popular browser. The browser wars are back – but this time it’s a struggle over which company will control the mobile world. But even if consumers are not so sure what web browsers are (programs such as Internet Explorer and Firefox), they have become a crucial business for tech companies such as Google and Microsoft. That is because they are now the entry point not just to the web but to everything stored online, such as web apps, documents and photos. And as the cloud grows more integral, both for businesses and people, the browser companies are engaged in a new battle to win our allegiance that will affect how we use the internet. Alternative … Rockmelt web browser for the iPad. It’s an echo of the so-called browser wars of the 1990s, when Internet Explorer and Netscape Navigator fought for dominance on the personal computer. This time, though, the struggle is shaping up to be over which company will control the mobile world — with browsers on smartphones and tablets. Entrenched businesses are at stake. Google’s browser-based business apps, for instance, threaten Microsoft’s desktop software, and mobile web apps threaten Apple’s App Store. Browsers give Web companies more control over how people use their products, and data about how people use the web, which they can use to improve their products and inform advertisers. Faster browsing leads to more web activity, which in turns leads to more revenue for web companies — whether searching on Google or shopping on Amazon.com, which built a Kindle browser, Silk. Google’s Chrome browser, for example, makes Google searches faster and simpler because people can enter search queries directly into the address bar. And its apps — such as Gmail, Drive for file storage and Docs for word processing — are all accessible through any browser. Most people use Chrome, Microsoft’s Internet Explorer, Mozilla’s Firefox or Apple’s Safari. In the biggest disruption to the market in 15 years, Chrome this year toppled Internet Explorer as the world’s most popular browser, even though it does not come loaded on computers as Explorer and Safari do. It has 36 per cent of the global market, while Internet Explorer’s share has dived to 31 per cent, according to StatCounter, which tracks browser market share. A host of smaller companies, like Rockmelt and Opera, are also trying to grab market share, largely by focusing on mobile devices. Browsers themselves are not lucrative businesses. Some, such as Firefox, earn money from search engines such as Google and Microsoft’s Bing that pay when people use the search bar built in to the browser. In their search for dollars, browser companies are redesigning their products to follow consumers to mobile devices, social networks and cloud-based apps. For example, new mobile browsers let people swipe through tabs with their fingers, automatically resize or zoom in on web pages so they fit a phone’s screen and load pages faster than older mobile browsers. Some also sync with other devices, so things like most-visited websites, passwords and credit card numbers are available everywhere. Nonetheless, browsing the web on a mobile device is still inferior to using the desktop web or smartphone apps. Apps, such as those downloaded from Apple’s App Store and Google Play for Android devices, have more exciting features, are faster to load and are better optimised to small screens. But technologists say that mobile browsers will improve when HTML5, the new set of tools for designing websites that has been in development for years, becomes pervasive. That is because its technologies enable websites to be as functional and visually rich as apps are today, with features like advanced video or the ability to read a website offline. 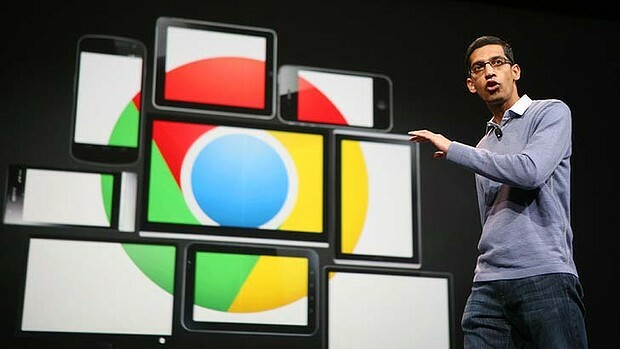 Although few people have so far downloaded Chrome to mobile devices, Pichai says Google hopes that with a better mobile browser, Internet users will be able to do more complex things, such as shopping or playing games, on the mobile web. Microsoft is also betting on HTML5. Its latest version of Internet Explorer is designed with tablet-size touch screens in mind. It wants to encourage software developers to build websites that are more app-like, such as responding to finger gestures, said Ryan Gavin, general manager for Internet Explorer. On the new browser, for instance, readers of news articles swipe to turn a page instead of touching “next page” with a fingertip. Firefox is trying to incorporate the social web in its latest version, with a sidebar that shows updates from services like Facebook, and lets users chat without switching between tabs or apps. Rockmelt, the start-up, has reimagined the browser most noticeably. 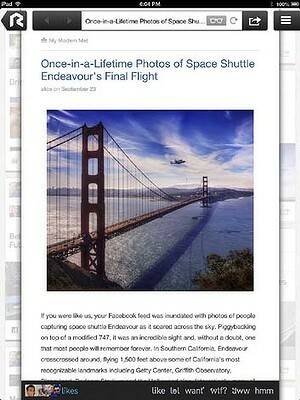 Its new iPad browser, instead of showing the blank space inside a typical browser, incorporates images, posts and articles from around the web. Although more people probably know what a browser is today than when Google interviewed passers-by back in 2009, browser companies nonetheless say their goal is to do their job well enough that people forget about the browser.